Product prices and availability are accurate as of 2019-04-14 05:12:27 UTC and are subject to change. Any price and availability information displayed on http://www.amazon.com/ at the time of purchase will apply to the purchase of this product. 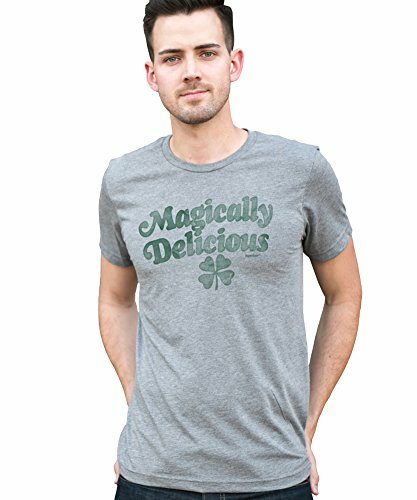 Youll look so good this Saint Paddys Day and all year round in this grey tri-blend crew neck top for guys and girls. You won't want to take off this best-selling short sleeve unisex tee, featuring a flawless blend of three uniquely soft fabrics and a modern, athletic fit. 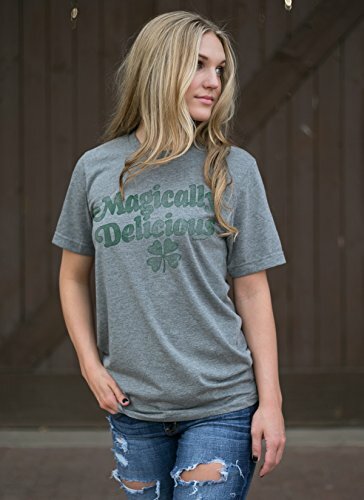 Our funny St Pattys t shirt featuring a vintage style distressed kelly green print and lucky four leaf clover is sure to be a hit for anyone who loves the Irish holiday or going out on one of the most popular days to drink. 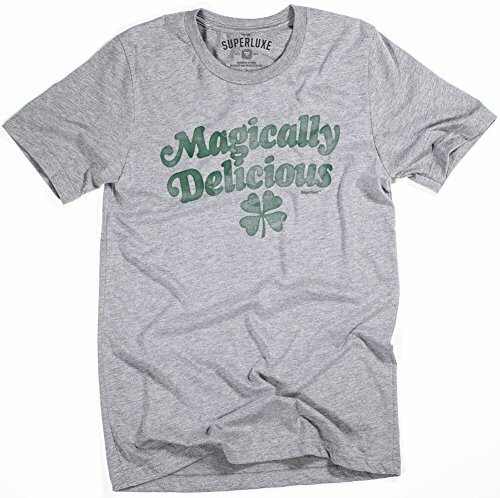 We finish it with the highest quality water-based inks which are so soft, you cant even feel the print on the shirt. Style, quality and value are hard to come by. 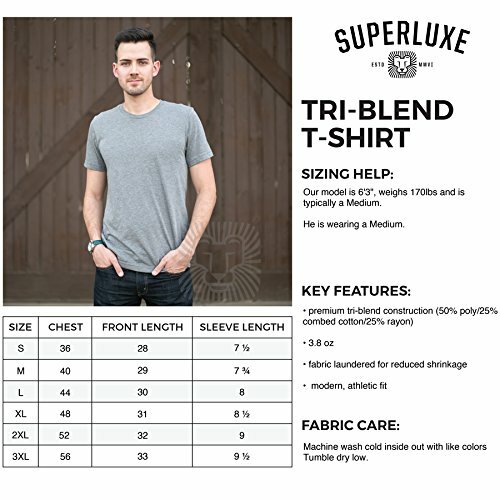 Superluxe makes the tshirts you love to wear at a fraction of the price of lesser quality retail brands.